When Google has failed you down, do not worry as there are many others adsense alternatives that you can use to earn money from your website. Getting rejected or even banned from Google Adsense is not a new thing and it should not make you feel down. Especially since there are still other alternatives out there that also gives similar profit to Adsense so you would not even miss it. Of course, they have their own rules that you need to understand, but overall, they are pretty similar in the advertising industry. 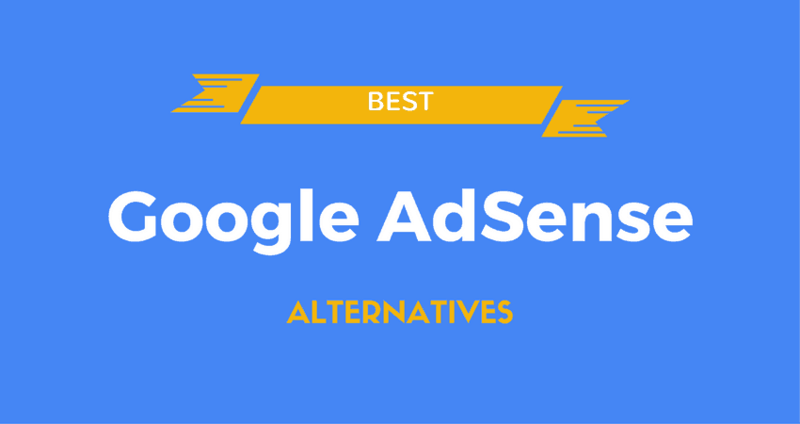 Here are some of the alternatives of Google Adsense that you can use. This company is one of the leading Adsense alternatives company that is also used by Bing and Yahoo which makes them reliable. Their products are very innovative and served both advertisers and publishers alike. They have operation centers in different countries so everyone around the globe can be served equally well. Their contextual add revenue is number2 in the industry so you can really tell how big the company is. On average, your application will be approved within 2 days which is a lot faster than Google Adsense which need one week for approval. This company is one of the biggest companies in the industry that founded back in 2011. However, their specialization is only for several niches, so you might need to check whether your niche is included or not before applying to monetized your website through their service. The best thing is that their rate is still good even for traffic from 2/3 tiers countries. This NativeAds Network has very good ads quality and their approval process is also very fast. These native ads are actually high very great engagement compared to regular type banners. Furthermore, the appearance will blend well into your website as they will appear similar to related contents on your website. Even trusted website such as PCworld and Forbes also uses service from this company. As publishers, you will see that this Adsense alternatives is actually very great as their CPMs is also very good. Furthermore, they provide different format that can be used on desktop or even mobile traffic that comes from all around the globe. Their payment is every NET15 and can be done through various payment methods of your choice. This company provides one of the biggest monetization networks that you can use in this world until now. They already serving around 128countries in the globe with thousands of publishers on their line. They also provide native ads that is free to use and will blend perfectly with your website format as well as other ads that you use. The best thing is, the ads would not interfere your visitors experience when staying in your website. Those are several Adsense alternative companies that you can use to monetized your website when you cannot use one from Google anymore. Do not forget that you can actually uses more than one companies to monetize your website, so plan best strategy that you want to use.